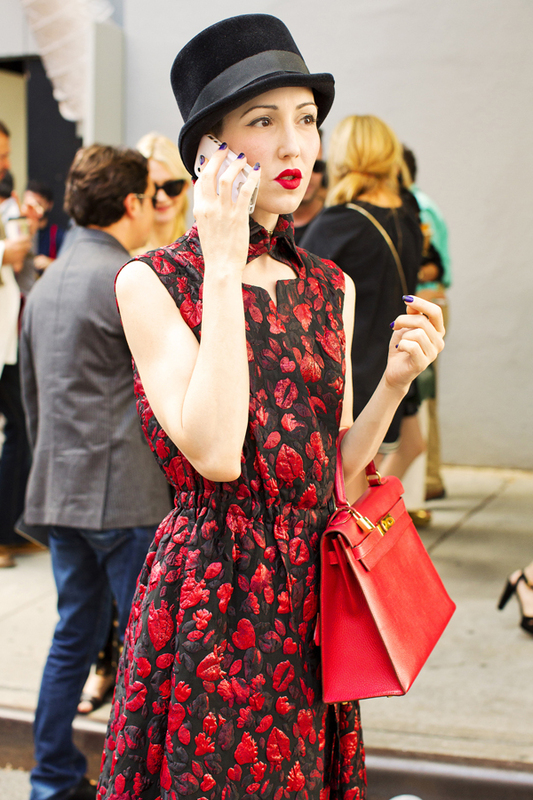 While the New York Fashion Week Spring Summer 2013 is at its high point, the fashion editors, bloggers and fashionistas keep amazing us with the chic street looks from the Big Apple. The streets of New York never stop impressing us with the inspiring and trendy looks regardless the time of the year, but this is a special time when fashion devotees from all over the world gather to take a first look at the latest collection by the key designers and to demonstrate their outstanding looks. Since the center of US fashion is full of the fashionistas that come from the different countries around the globe, we have an opportunity to observe distinct styles and looks to be inspired by influenced by the distinct cultures. The New York Fashion Week is the first one in the raw of shows, so it sets the high standards for the following London, Milan and Paris Fashion Weeks.